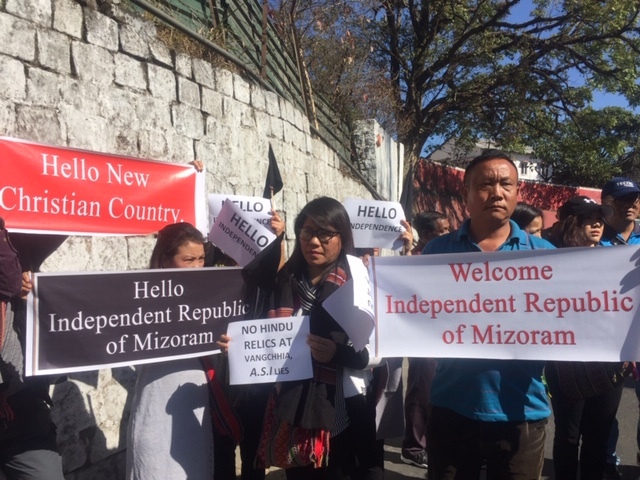 The Joint NGO Co-ordination Mizoram had called for a mass protest in the State on Tuesday where hundreds gathered at the city centre carrying black flags to show their resentment against the citizenship bill. The YMA president Vanlalruata spoke at the protest day saying the leaders at the Central Government are trying to discuss the bill today despite ‘our repeated protests so we have to remind India about their freedom struggle’. Shouting out a message for the Central leaders, he said, “You didn’t like the oppression suppression of your freedom struggle and we Mizos also don’t want suppression as you have experienced. We will only repeat what you have done during those days and please remember we are Mizo by blood, we became Indian by law only,” he said. The NGO leaders believe the strong push towards passing the Citizenship (Amendment) Bill, 2016 despite the growing agitation and unrest in the north-eastern region shows negligence on the part of the Central Government. The protest was called for on short notice due to the likely inclusion of the bill in the Rajya Sabha session on Tuesday. Meanwhile, the Chief Minister who has come under the scanner due to accusations from student bodies saying he has not done his part in the fight against the Citizenship (Amendment) Bill, 2016 met the ministers in a Cabinet meeting on Tuesday where they made a statement saying the State is totally against the bill and will continue to oppose it. “The party’s stand right from the beginning is that we totally oppose the Citizenship (Amendment) Bill, 2016. 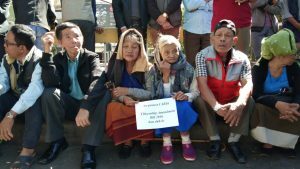 From the party forum, we opposed it openly, from my governments stand, we oppose it very vehemently,” said chief minister Zoramthanga. The chief minister said he strongly stated his opposition of the bill when he met the leaders of the Central Government and also showed his stance when the Northeast leaders met in Guwahati. “The Cabinet meeting has decided it will oppose the bill and if it is passed we will have to think further on what we will do. In every field, whether in Delhi to the Prime Minister, to the home minister or to Northeast leaders and to Mizoram we have depicted we oppose this, we have opposed this from the beginning to this moment and we will continue to oppose it,” he said.